Seaport Digital has announced a new laptop case aimed at photographers working on location. The i-Visor LS Pro Mag has a built-in sunshade to allow clear viewing of the computer screen in all lighting conditions — either in the daytime blocking out bright sunlight, or at night shielding the light from the monitor. It also mounts on a tripod, providing a makeshift workstation. This latest model has a magnesium alloy frame said to make it lighter and stronger than previous i-Visor cases. Other new features include cooling vents, better zips, a built-in carrying strap and cable access ports. This “new standard for on-location workstations” isn’t your average laptop case and so doesn’t come cheap. Seaport has the i-Visor LS Pro Mag available for pre-order at US$249.99, to be released around 9th September. 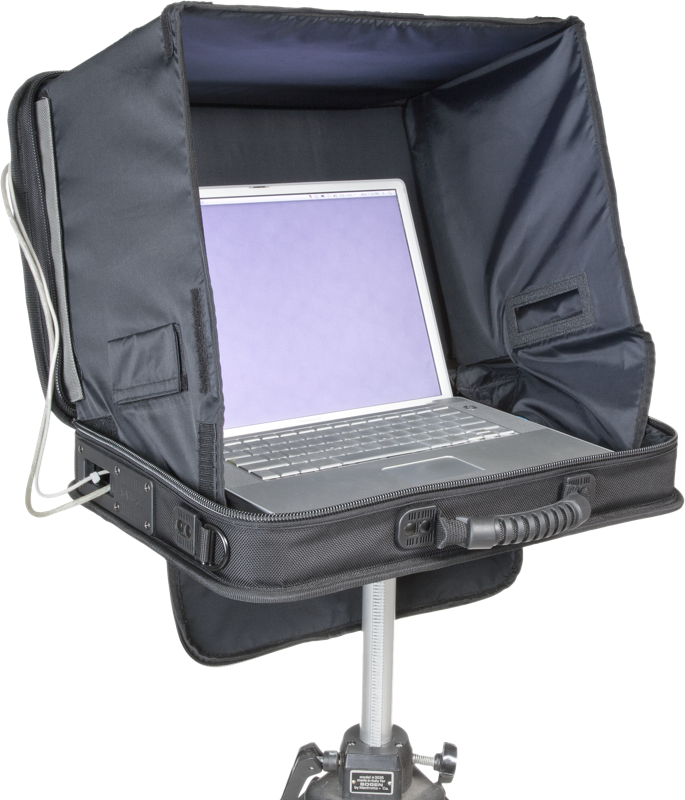 For studio photographers who don’t need the sunshade, there is also a new i-Visor Mag Platform ($69.99) which will support a laptop and mouse atop a tripod, making it easier to shoot tethered without leaving your computer on the floor or needing a desk. Click here for a list of dealers.